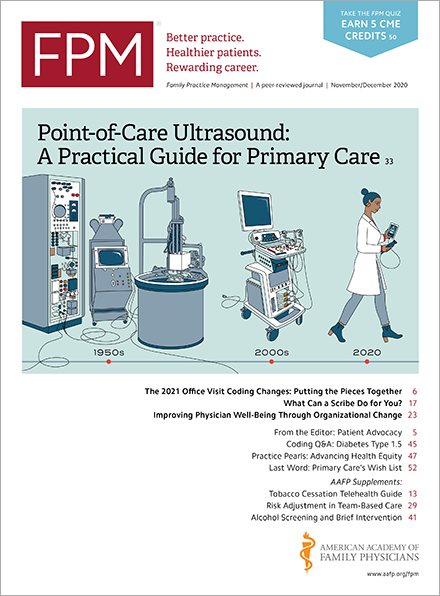 In its most recent Medicare Quarterly Provider Compliance Newsletter(www.cms.gov) (PDF download) the Centers for Medicare and Medicaid Services(www.cms.gov) (CMS) highlighted an issue that apparently continues to be a problem for some physicians. Namely, when is a patient "new" for purposes of billing evaluation and management (E/M) services? CMS defines a "new" patient in Chapter 12 Section 30.6.7(www.cms.gov) (PDF download) of the Medicare Claims Processing Manual(www.cms.gov) as "a patient who has not received any professional services, i.e., E/M service or other face-to-face service (e.g., surgical procedure) from the physician or physician group practice (same physician specialty) within the previous 3 years." This is essentially the same definition as in Current Procedural Terminology (CPT), which states, "A new patient is one who has not received any professional services from the physician or another physician of the same specialty who belongs to the same group practice, within the past three years." CPT defines "professional services" as "those face-to-face services rendered by a physician and reported by a specific CPT code(s)." A simple way to determine if a patient is new is to ask yourself this question: "Have I (or another physician of my specialty within our group practice) provided a face-to-face service to this patient within the past 3 years?" If the answer is no, then the patient is new to you for purposes of coding and billing the E/M service that you are providing to him or her. If the answer is yes, then you must consider the patient established. Determination of whether the patient is new or established should not be made solely on whether the chart presented was new. Coding or charge entry staff should search for past billing records using the patient's social security number and date of birth, and if a billing record is found, contact the appropriate staff to compare the charts and determine if the patient is established. While some of your patients may be new, this issue is not, and apparently, it continues to sufficiently confuse some physicians that CMS felt it necessary to remind folks about the definitions involved. CMS issues the Medicare Quarterly Provider Compliance Newsletter to help physicians and their billing staffs understand the claims submission problems found by Medicare contractors and how to avoid certain billing errors and other improper activities when dealing with the Medicare. In light of that, you may want to check your own understanding of the new patient issue and related coding and billing practices, lest this become a compliance issue in your practice.